Find unique gifts, care packages and thoughtful presents online for everyone on your gift list. Buy special gifts for holidays, birthdays, get well, thank you, new babies, sympathy, and gift ideas for every occasion. 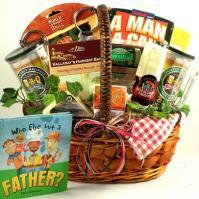 Buying a gift basket online does not have to be a traumatic experience! In truth, buying gift baskets online can be a rather easy and rewarding experience, as long as you know what to look for. It is as convenient as logging into your computer on your lunch break! Here are some tips to help you when you are buying gift baskets at Adorable Gift Baskets. Be sure to brainstorm beforehand. What sort of gift baskets do you want to give? If you type gift baskets into a search engine, you will see hundreds of results and that can be overwhelming! If, on the other hand, you type in something more specific, like Florida gift baskets or food gift baskets or even snack gift baskets, you are going to get narrower results. A few other favorites have the gift basket theme of sports, birthday gift baskets, get well gift baskets, baby shower gift ideas, Valentine's Day, Easter, Mother's Day and holiday gift baskets. When you find a gift basket that you absolutely love, at Adorable Gift Baskets you will never have to pay an arm and a leg for shipping and handling. One of the great benefits of buying gift baskets at Adorable Gift Baskets is that you can easily find the perfect gift basket for any occasion with free shipping. Buying gift baskets with free shipping can be extremely helpful when you are on a budget. Adorable Gift Baskets is a secure gift basket site which passes intensive, daily security scans ensuring the highest level of encryption and security possible. You can be sure that your information is secure. Florida was the 27th state to be granted statehood. It happened on March 3, 1845. The state flag was instituted in 1900. The capital of Florida is Tallahassee. Florida's official butterfly is the Zebra Longwing. Florida's official gemstone is the Moonstone. Florida's official flower is the Orange Blossom. Floridaís official bird is the Mockingbird. Florida's official tree is the Sabal Palmetto. Florida's official beverage is Orange Juice. Florida's official animal is the Florida Panther. Florida's official festival is the Calle Ocho Open House. Florida's official fruit is the Orange. Florida's official marine mammal is the Manatee. Florida's official reptile is the American Alligator. Florida's official saltwater fish is the Atlantic Sailfish. Florida's official saltwater mammal is the Porpoise. Florida's official stone is Agatized Coral. Florida's official wildflower is the Tickseed. Florida's official shell is the Horse Conch. Florida's official motto is In God We Trust. Florida is nickname is the Sunshine State.